Perfect for use on faded and rough bumpers, racks, trim, moldings, tonneau covers, and mirror covers! Restores color and shine to plastic and vinyl. 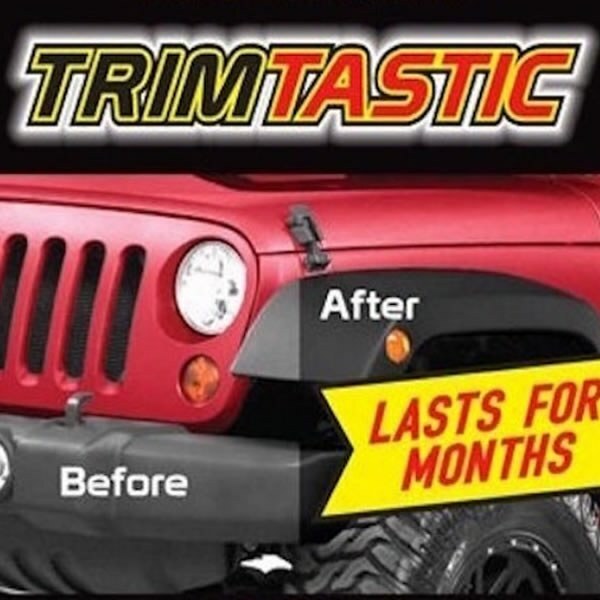 Simoniz TrimTastic is a semi-permanent coating used to restore faded and rough bumpers, racks, trim, moldings, tonneau covers, and mirror covers. This product will bring back the natural shine to unpainted, porous, plastic surfaces on vehicles. TrimTastic is wash resistant and will provide months of protection over any other type of dressing.